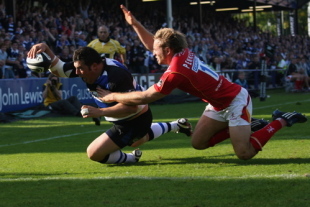 Bath and England prop Duncan Bell has announced that he will retire from the game at the end of the season. 'Belly' has established himself as one of the West Country side's favourite sons and the decision to call time on his career will see him depart with five England caps and over 200 appearances for Bath. The tight-head, who will now focus on business interests said that it has been an honour to run out for the side. "I have had a fantastic career, from starting out at Quins through to the last nine years here with Bath. I began playing rugby for Bath Minis, so to have had such a long career here has been amazing and it's been an honour to run out in the Bath shirt over 200 times." Bath's CEO Nick Blofeld has paid tribute to the prop saying: "Belly has been a great servant to Bath Rugby throughout his time here, and has always been a larger than life character to have around; it is no surprise he became a real crowd favourite. We would like to thank him for all his time with the club and wish him the best of luck for the future." And in announcing his retirement, Bell also revealed that he has been battling with depression. The issue is still somewhat taboo in the sport and his decision to talk openly about his experience has drawn praise from the Rugby Players' Association chief executive Damian Hopley. "On behalf of all of our RPA members I would like to commend and congratulate Duncan Bell, not only on his outstanding rugby career, but also on his extremely brave decision to address the issue of depression as he retires from the game in order to help his peers who may be facing similar challenges in their lives," Hopley said. "To the outside world, Duncan has always appeared the most upbeat of characters, rarely without a smile on his face and always one to make or take a joke. "Privately, Duncan has had some considerable challenges in his life and I cannot speak highly enough of the courage he is now showing to speak openly about the depression he has suffered from over the past few years. "We know how uncomfortable Duncan has found it to openly discuss this illness, which until recently has been seen as a taboo subject in professional sport and it is to his tremendous credit he is confronting this head on. The fact that someone as popular and as well-known as Duncan is coming forward to speak about his personal struggle will help to raise awareness of the issue and will reassure others who may be suffering in silence." Quite a surreal experience to walk in after training to see 145 tweets! Very emotional day but massive thanks to all well wishers.